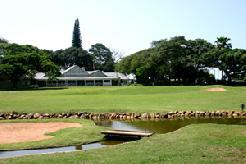 Prince's Grant Golf Course has panoramic views of the Indian Ocean and this golf resort development has been designed to capture the gracious colonial life-style of early Colonial Natal. The course architects, Matkovich & Hayes, designed the course to present challenges similar to those of traditional links courses in Scotland, and the unsheltered fairways, mounds and well shaped bunkers are reminiscent of the fabled links courses of Great Britain. 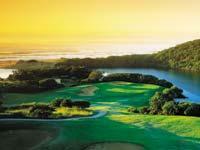 Set out on a magnificent tract of indigenous Natal coastal bush 75km north of Durban, Princes Grant Golf Course Estate and its superb Club House are the jewels in the crown of the Dolphin Coast of KwaZulu-Natal Province of South Africa. 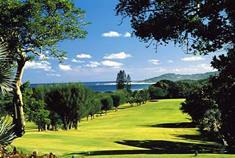 The golf course is situated on the Kwazulu Natal North Coast, in the vicinity of Stanger. 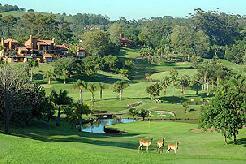 It is ideally placed for those wishing to combine golf and a wildlife Safari at Hluhluwe or Phinda Reserve. 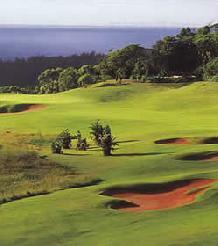 Prince's Grant Golf Course rates in the "top twenty five" of South African golf courses and certainly one of the country's very best coastal courses. 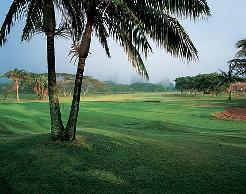 Golfers are assured of a truly memorable golfing experience. 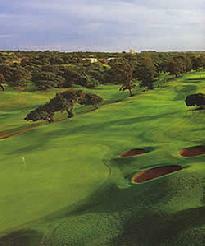 The par -four 12th which can be extremely difficult, is less than 300m from tee to green. This hole is a good example of a challenging, very short par -four. 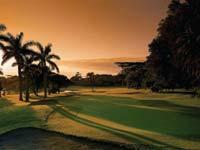 Bunkers and thick bush demand an exacting tee shot and approach from the golfer. The superbly contoured green requires precise judgement with the putting blade. 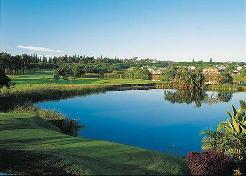 Signature Hole: is the 15th, an excellent par -five with superb views all the way down the coast to Umhlanga. This fairway, which runs parallel to the sea, is overlooked by many of the private homes that are built on this estate, all with commanding views of the course and the surrounding countryside.